This was inspired by cloud states simple e juice recipes that she is doing now. I too get caught up in making my recipes a little to complex I mean layers are great but sometimes we probably add a few flavors that don't add anything to the mix. So my response to this simple e juice craze is my new flavors that I am going to call easy as pie. I plan on putting out a few more easy as pie recipes in the months to come. My definition of an easy as pie recipe is a flavor that doesn't over use flavorings as in only using the necessary ingredients to make the profile work. So I hope you all enjoy my slightly simpler and definitely easy to make recipes. They should taste delicious as well as being easy as pie to make and or acquire the ingredients in the mix. I used lime tahity cold press by flavor art for my main lime flavor of my flavor profile I then made the pie filling by a combination of cream fresh and meringue both by flavor art and the secret ingredient in my key lime pie filling is the cream cheese icing by lorannes it is not used for its icing properties I used it more for a sweetened cream cheese flavor it really helps bind the cream fresh and meringue i.to a more authentic key lime pie filling Last but not liest is my pie crust I achieve the pie crust by using 2% of tfa's cheesecake (Graham cracker crust) this adds a great graham cracker crust taste And feel. So that completes my easy as pie Key Lime Pie. This recipe is also good directly after a shake so great for those people that need instant gratification. I hope you enjoy it. Very nice lime with just enough meringue and crust to make a believable pie. Super tasty. Excellent simple recipe. No gratuitous layering. Very nice lime cheesecake flavour. I really enjoy it. 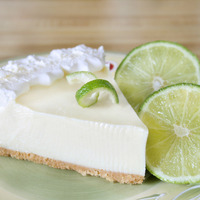 Need a day or 2 for the lime to die down a bit and to get the cheesecake noticable. I gave a B rating in my notes. Not bad at all Tootall. The lime is a bit sharp, but I imagine it will tone down after a day or two. I may try to add a little NY Cheesecake and a touch of Super Sweet for a little extra sweetness and density. I would think Vanilla Whipped Cream could be a good addition as well. Key Lime Pie has always been my unicorn recipe. I tried like hell to make a good one when I first started mixing and gave up after a few months. Might be time to try and tackle it again. Thanks for the solid recipe buddy. Nice recipe, lime not overpowering, just the right amount. Recommended!